ATLANTA, GA. (THECOUNT) — Former “Love & Hip Hop” star, Tommie Lee, was arrested while appearing in court on a charge of public drunkenness. Lee, 34, returned to jail for being “extremely drunk” during a court appearance, reported TMZ Thursday. 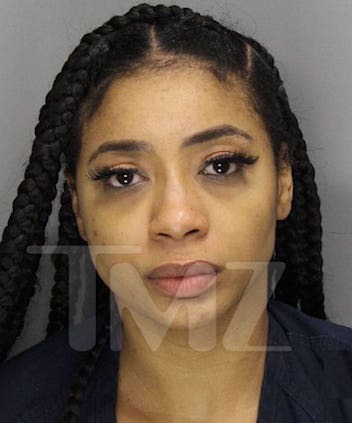 The former ‘Love & Hip Hop’ star showed up to court last week in Cobb County, GA for a hearing in her child abuse criminal case. Law enforcement sources told TMZ Lee appeared “intoxicated,” so much so, the judge ordered her to undergo drug and alcohol testing immediately. She failed in-court testing. Lee’s BAC was reportedly 0.16 which is twice the legal limit which constituted a violation of her bond. Lee was taken into custody while inside the courtroom. No bail was set. Lee was attempting to gain approval in a move to California for work while she was out on bond, but a judge denied her request, citing her previous record. She’s currently facing multiple charges of child abuse for her October 2018 arrest.